Please note this copy of the magazine is an ELECTRONIC copy only, and will be available for download after payment. Continuing on from the previous article in edition six, we take a look at exactly how the system was put together. The article explains in detail all the components of the commercial system, there purpose and how they work. 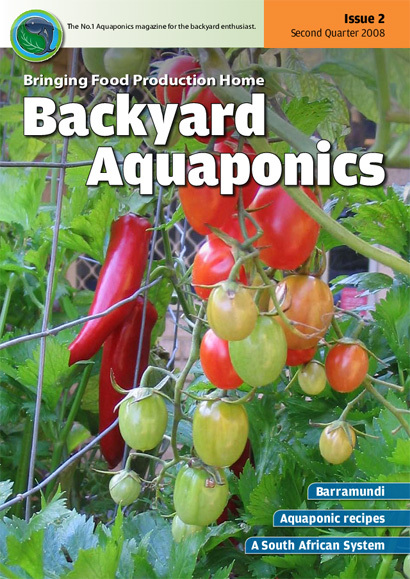 Mike Burns, a highly respected teacher at Westfield primary, writes about his experiences about intergrating aquaponics into their school curriculum. Harvest day is the focus of the article and Mike articulately recounts the days events. 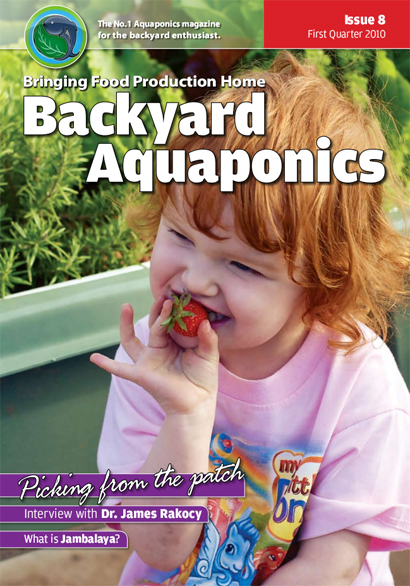 Alison McKenzie, Co-ordinator of Sustainability, for one of the most prestigious and foward thinking primary schools in the country, recounts the benefits of involving young children in aquaponics. 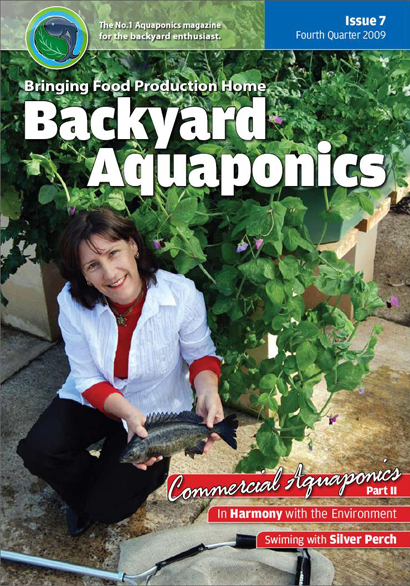 Silver Perch are one of the most commonly grown fish in aquaponic systems, and Carl Schimdt a seasoned aquaculturist, shares his extensive knowledge on this incredibly productive species. Aphids which are one of the most common pests in the garden, are given a new light, by Faye Arcaro, our in-house entomology expert. Faye is a keen photographer and her articles are always filled with remarkable pictures, coupled with very useful information and tactics for controlling garden pests. In an in-depth view of the oceans and their management, we find out just how fragile our greatest ecosystem is. With increasing pollution and drastically decreasing fish stocks, our oceans are under dire stress. These are just a few of the articles you’ll find in the 7th edition, below are a few sample pages to look at.